Sony unviels its Next Generation Portable (NGP) gaming console called called PlayStation Vita or PSVita and it will be available around christmas this year. The PlayStation Vita has an Android-friendly PlayStation Suite.The PlayStation Vita offers gamers high-definition graphics, two cameras and two touch screens a 5-inch multi-touch (organic light emiting screen)OLED screen on the front and a rear touchpad,two analogue sticks. The PSVita has a party mode in which, users can chat with friends. A location-based service called Near, which shows friends and discoveries in your vicinity. The device will also offer Crossplay, allowing users on the Vita to play and interact with players on the PlayStation 3. 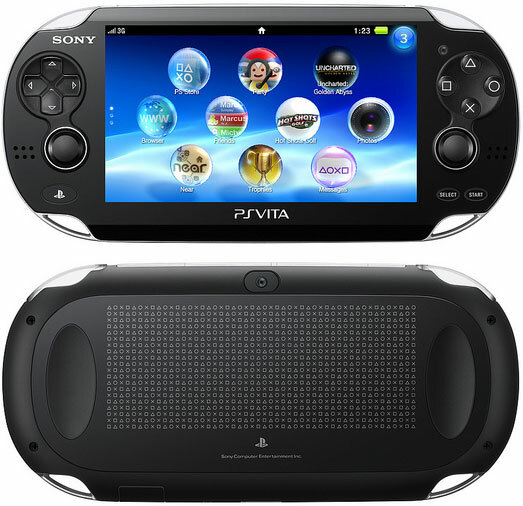 The portable gaming device, the PlayStation Vita will be available in Christmas in U.S.A, Japan and worldwide in 2012 with a price tag of $250 for the Wi-Fi-only model, and $300 for a 3G version running on AT&T. Tags:PlayStation Vita, PSVita, Next Generation Portable gaming console, Portable gaming console, Android-friendly PlayStation, PlayStation Vita review, PlayStation Vita features, PlayStation Vita specs, PlayStation Vita specification, PlayStation Vita details, PlayStation Vita images, PlayStation Vita pics, PlayStation Vita pictures, PSVita review, PSVita features, PSVita specs, PSVita specification, PSVita details, PSVita images, PSVita pics, PSVita pictures, PSVita availability, PSVita price, PlayStation Vita availability, PlayStation Vita price.